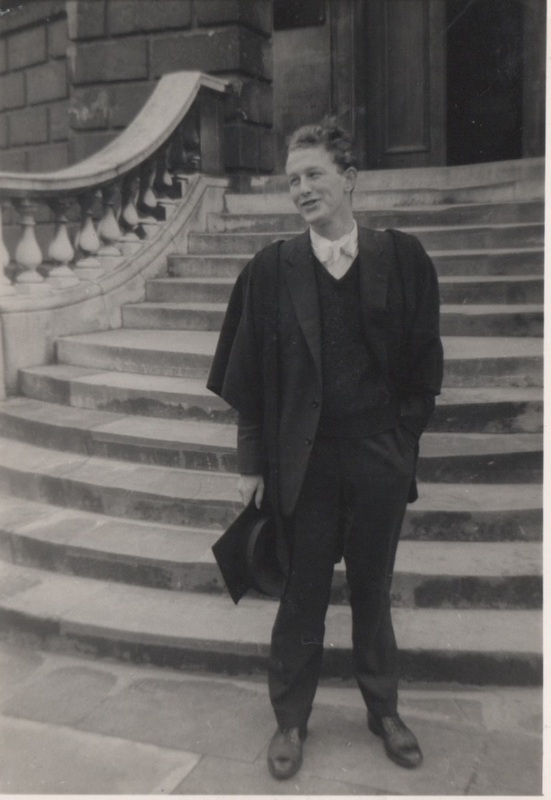 PAUL WODDIS who has died at the age of 78, attended Uppingham from 1955-58 and was a member of The Hall. He made many friends there including one who was to prove his staunchest life-long friend, Robin Grove-White. Following Uppingham and after a short sabbatical in Brussels, he gained an Exhibition to Oxford (Brasenose, 1959-63) where he read Modern Languages and gained a 2nd class degree (although he always felt he would have gained a First had his viva been on his beloved Proust rather than Balzac of whom he was less enamoured!). It was at Oxford where he met his beautiful wife, Helena Wills. 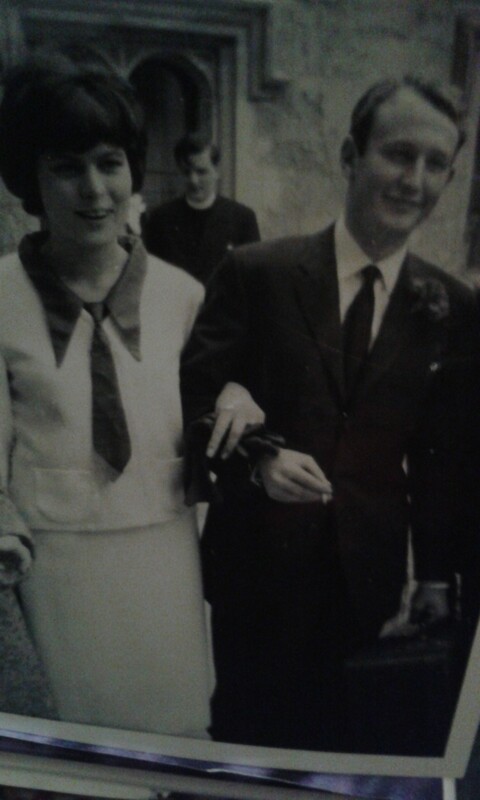 They married in May 1963 and later that year, Paul joined one of Britain’s leading multi-nationals, Reckitt & Colman, as a graduate trainee. Wedding day, Paul and Helena, Oxford, May 2nd, 1963. He spent 18 years with the company, all overseas, first as Marketing Director in Venezuela (Valencia and Caracas), then Argentina (Buenos Aires) during the period of unrest under the Military Junta. In December 1976, he returned to Europe as CEO in France. Eventually leaving Reckitt & Colman in 1981, he joined Cussons UK as Managing Director in their Cheshire offices. Later he performed the same duties for Sanofi Winthrop and retired as the outgoing Chairman when they became Elf Sanofi. Paul and Helena settled in Weybridge, Surrey before finally moving to Suffolk in 2011 where he died in February this year (2019) at The Orwell Care Home in Ipswich. Paul was born in Nottingham, the eldest child of psychiatrist Keith (Gideon Mordecai) Woddis and Dorice, nee Burgess. Justin, their eldest son was born at the end of 1963, Hugo in 1965 and Katharine, their daughter in 1972. To anyone who knew Paul during the early years, he cut an extraordinarily handsome and charismatic figure. A passionate and life long enthusiast of classical music, his knowledge was deep and as detailed as was his love of languages, especially French and Spanish. He also spoke Italian and German. Always an internationalist, he read widely with poetry becoming a major love, Philip Larkin and Cavafy being two of his favourites. Working abroad offered rich experiences. He was especially devoted to France and in Argentina became an enthusiastic tango dancer! Rugby and horse racing were also abiding interests, the latter since schooldays when he began to study stock and breeding in which he became an expert. He was also a great connoisseur of all things gastronomic, including French food markets as well as its fine wines and liqueurs. His own culinary specialities included a mean mayonnaise and superb soufflés. Most of all, he will be missed by his many friends who knew and loved him for his largesse, his energy, wit, international and intellectual breadth and generosity of spirit. He is survived by his wife, Helena, his children Justin, Hugo and Katharine; his grand-children, Rollo and Tabitha Woddis, Swan and Willow Schofield, Charlotte Woddis and by his sister, Carole. PAUL WODDIS, born Nov 28, 1940, died Feb 15, 2019. I’m so grateful to Helena, Carole, Katharine, Justin and Hugo for inviting me to say a few words about Paul. Just the other day, I read that Gertrude Stein once said there are two kinds of people – those with identities, which is most people, and those who are entities, a rarer breed. Thinking back to when I first met him – more than sixty years ago now, at school at Uppingham in the mid-1950s – there was never any doubt which one of these Paul was. At fifteen, he was already a master of up-to-date horse-racing form – and well-known for weeping at classical music, copiously and embarrassingly. Already he was voraciously cultured and opinionated, with political views proclaimed with a kind of Disgusted-of-Tunbridge-Wells indignation. Anyway, by fifteen he was the real deal – an entity indeed. Though he & I were pretty different, we shared a bolshie streak, and became bosom pals almost at once, together with Mike Senior, another lifelong Uppingham friend, And the laughs always flowed freely. In due course Oxford followed. Three years later, I was his best man when he and Helena married. And later still, he was my best man for my wedding to Helen. So how to recapture him? Or jump forward to the high-summers of the 1990s at Heatherfield, in leafy Walton on Thames, and his & Helena’s annual garden parties, under the benign gaze of Solomon, the mighty cedar tree. Those parties were the essence of them both – expressions of Paul’s magnetic warmth and love of connection, with Helena, composed and beautiful, quietly and wittily masterminding things. Together they created and sustained a true circle. The presence of all of us today is testament to what that meant, in our different ways. Of course, he became an accomplished international businessman. But in truth he was also a poet, an adventurer, and a teller of stories. He mythologised his friends, weaving each one of us into his own story. He had a ravenous curiosity about the depths and personal complexities of those who mattered to him. It wasn’t hard to acquiesce in this. The sheer quality and warmth of his attention to those he loved, or wanted to love, was rare and special. Sometimes, of course, it could be too much, and people would recoil, finding the probing intrusive. But then, he was always pushing through conventional boundaries. It was just the way he was. But to me, even in the bad times, there was a grandeur to him – a splendour, even in his gradual decline. There was something Viking about those later years. As if the fates were after him – and there he stood – incorrigible, and defiant. He came to seem more and more extraordinary – like one of those outsize bohemian intellectuals crashing around in the American novels of Saul Bellow or Philip Roth – like Sabbath or Humboldt. It can’t have been easy to live with, for those dearest to him. But he was blessed with an incredibly strong and courageous life-partner in Helena, independent-minded children of great character, and an always loving sister in Carole. And he knew it. I picture him embedded in his evening armchair at Heatherfield, cigarettes and whisky close to hand, Brahms or Bach perhaps in the background – though seldom Beethoven, and never Wagner (a story for another time, that one), conversing with marvellous fluency and insight about Latin American politics, or the literary architecture of Marcel Proust’s great novel, or the endless complexities of love and friendship. Continental in his range and sensibilities. Worldly and dark in his realism. And sometimes of course, completely absurd in his opinions. He always insisted he wasn’t religious. And when he and I talked of such things, he’d mock my own fumbling Christianity – ‘Robin’s ineffables’ he’d jeer, and then giggle. Instead, he identified, tearfully again, with the bleak atheism of Philip Larkin’s great poem Aubade. Yet in truth, at root he was committed to the absolute reality of Beauty, Truth and Goodness (Plato’s transcendentals) – whether in the observance or the breach. So for me – and for many of you, I know – he was a great-hearted, life-enriching entity – original and brilliant in his distinctive way. An unresolved, richly human tangle of talents, passions and contradictions. The final four years in the Orwell care home were a remarkable coda. Bedridden and diminished he may have been. But he continued as humanly busy as ever. Like others here, I used to visit him. And it turned out he’d created a new circle – this one consisting of assorted carers and other staff members in the Orwell home itself. They in their turn shared with him the intimacies and travails of their lives, drawn by his understanding and his attention – like so many of us. I join with the family in sharing their great loss, which is also our own. He was a most wonderful lifelong friend. This entry was posted in 2019, Obituaries and tagged Argentina, Brasenose Oxford, France., Uppingham. Reckitt & Colman, Venezuela on March 19, 2019 by Carole Woddis. John Goodwin, who has died at the age of 97 was one of the most influential behind-the-scene figures of British subsidised theatre in the latter half of the 20th century, admired and sometimes feared in equal measure. As Peter Hall’s Head of PR and publicity, Goodwin helped secure Hall’s ambition in the early 1960s to secure public subsidy for his newly created Royal Shakespeare Company. Formed from the seasonal April-September season at Stratford’s Memorial Theatre, Hall introduced a twin-pronged policy of producing Shakespeare in Stratford and contemporary work and Stratford transfers to their newly acquired Aldwych Theatre home in London. Goodwin it was who ran the press campaign, assiduously courting influential journalists in Hall’s fight to secure public money. 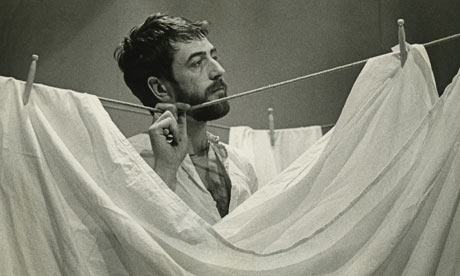 The campaign succeeded and Hall’s vision, run by a triumvirate that included Peter Brook and the French actor, director and teacher, Michel St Denis, became a reality. During the 1960s and 1970s, the Royal Shakespeare Company, embarked on its most influential era, at the forefront of radical theatre thinking and producing some of its most exciting and experimental work. Meantime, Goodwin was also quietly instigating a revolution in theatre front-of-house and programme design. Prior to the RSC’s creation, West End programmes and theatre posters had followed a fairly conventional pattern of plain posters and serif lettering with theatre programmes of plain cast lists and credits. Coming from a background in theatre and publishing – Goodwin had previously worked with Basil Dean at the St James’s Theatre, at Stratford and for the Bodley Head publishers – he invited graphic designer George Mayhew to join him. The result was a transformation whose influence continues to today. Together, they introduced pictorial, silk-screen posters and programmes, packed with background articles, interviews and production and rehearsal photos. Their influence carried through to the National Theatre (then under Sir Laurence Olivier where the theatre critic Ken Tynan with Rozina Adler were also busy instigating a revolution in NT programmes) and can be seen today in the NT’s current theatre programmes, still regarded as pre-eminent in their field for information and style. 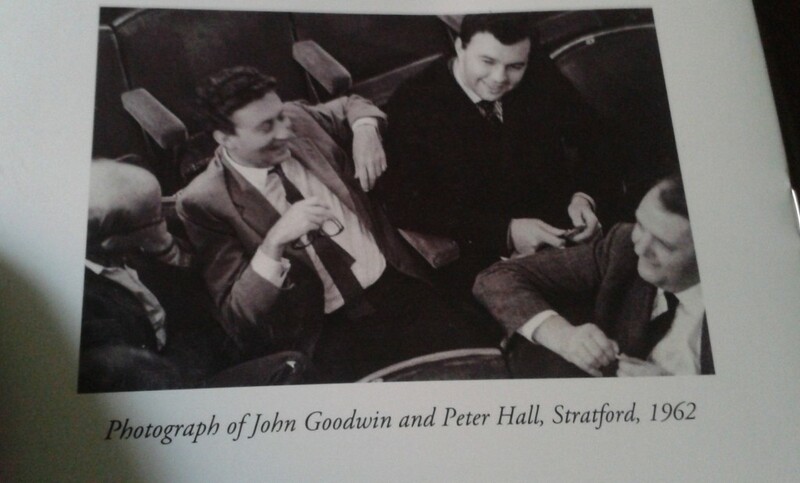 When Peter Hall was appointed the NT’s Artistic Director after Olivier, he asked Goodwin to join him in his similar RSC capacity, as Head of Publicity & Publications. Goodwin became an NT Associate and influential member of Hall’s Planning team in the early years of the NT on the South Bank, editing their programmes for fifteen years, from 1973 to 1988. John Goodwin was born in 1921, one of twins with his sister, Mary (who died in 2010). He was educated at Christ’s Hospital. During WWII, he served in the Royal Navy and on demob worked first with the West End publicist, David Fairweather, then represented the Shakespeare seasons at Stratford-upon-Avon before a short stint with the Reinhardt/Bodley Head publishing group. But it was as the Head of Press & Publications of Peter Hall’s newly formed Royal Shakespeare Company that Goodwin began to make his mark. Hall himself paid tribute to Goodwin’s influence when he declared `there would have been no RSC without him’. In later years, Goodwin told a story of how when the NT moved to South Bank the Arts Council wanted to close the RSC down. Goodwin rang the Daily Telegraph’s then arts correspondent, Ron Hastings, giving facts and figs. Hastings ran the story causing shock and horror. Goodwin sent Hastings’ article to all the drama critics saying: `This is all true’. There was uproar and the RSC was saved – a typical example of Goodwin’s skill as a persuasive orchestrator of opinion and press relations in general. Not for nothing was he dubbed `Machiavellian’ by some – a term calculated to insult but with which Goodwin was, perhaps secretly, not entirely displeased. Other epithets applied to him were `formidable’, `genius’ and `sly and brilliant’. For those who worked with him, all such descriptions were applicable. Small, dapper and unquestionably charismatic, Goodwin became pre-eminently the trusted `eminence grise’ to Hall’s fiery showman. He was charm personified, a sophisticate of the old school with a whiplash brain that could sometimes be turned to devastating effect. To the teams he created around him, his loyalty was boundless. They, in turn, returned the feeling – many becoming lifelong, steadfast friends. His scrupulous editing eye, attention to detail and perfectionism set a standard that anybody working with him will have carried through – sometimes as almost a curse – for the rest of their lives. 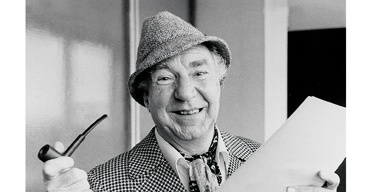 It also served him well as editor of the Peter Hall Diaries (Hamish Hamilton), as editor of the classic British Theatre Design (Weidenfeld & Nicholson), as guest editor on director Bill Bryden’s photographic memoir (photos by Nobby Clark) and his own short, hugely successful primer to Shakespeare, A Short Guide to Shakespeare’s Plays (reprinted fifteen times) – scarcely bettered and, like its author, succinct, informed and enthusiastic. He also adapted the Alphone Daudet novel, Sappho, about a passionate affair between an older woman and a younger man, A Most Sweet Poison (published by Oberon) and co-authored the actor, Trader Faulkner’s one man show, Losing My Marbles. A theatre enthusiast to the end, Goodwin had the magical gift of listening. There will be many who will have poured their hearts out to him and the advice he could render would nearly always be to the point and wise. Conversations with him could range widely, over many subjects from theatre to literature, politics – he declared himself a lifelong Labour man – and latterly religion after his conversion to Catholicism following the death in 2008 of his beloved wife, the novelist, Suzanne Ebel, also a Catholic. His conversion remained all the more surprising and puzzling to friends who had always known him as a man of scepticism and, almost, agnosticism. But the attractions of its rituals and perhaps most importantly, of the promise of the life hereafter in which he would be reunited with Suzanne, may have provided the biggest pull on his imagination. In later years, his views on current theatre trends would border on the acerbic – he was disappointed in the RSC and even the NT under Nick Hytner to whom he attributed praise for widening the NT’s audience but not his choice of plays or style of productions. But the twinkle in the eye and his rich sense of life’s absurdities along with his enduring love for theatre never waned. It was after all in his blood. His ancestors were variety artists and strolling players who pulled a cart behind them. His mother was the musical comedy actress, Jessie Lonnen. 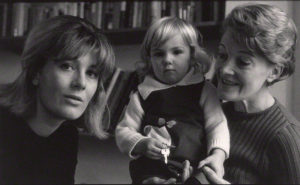 His father, who died when Goodwin was three, was a Civil Servant with the Inland Revenue. Goodwin might have made a career as a journalist early on except, he later declared, he found it `boring’. How ironical coming from a man who subsequently went on to become one of the theatre industry’s most successful `handlers’ of journalists. 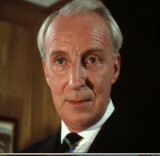 (Coincidentally, Goodwin’s brother-in-law, by marriage to Suzanne, was John Bingham, thriller novelist and sometime M15 chief, one of the possible models for John le Carre’s famously modest but highly efficient secret service spy, George Smiley). As conversationalist and mentor, loved and respected by many, John Goodwin’s professional legacy as Peter Hall’s master-mind is as assured as is his role as editor and publicist supreme. Rest in peace, old friend. 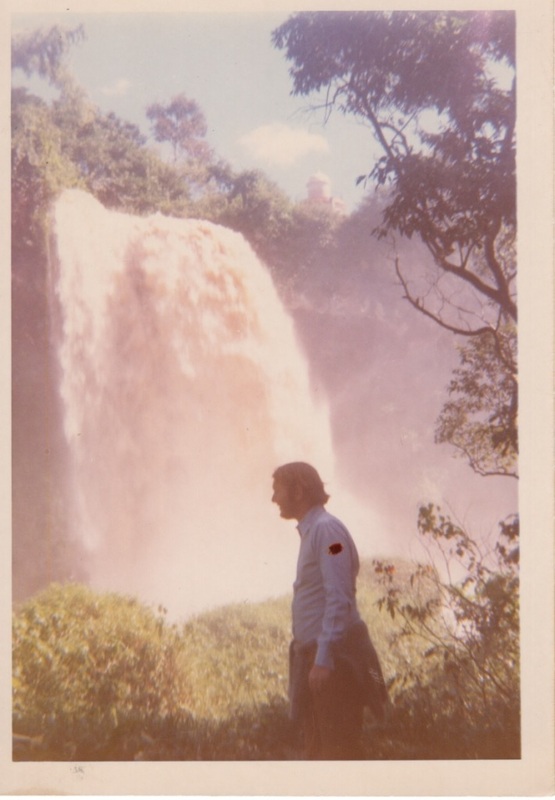 John Goodwin: b: May 4, 1921; d: July 30, 2018. He is survived by his son, Timothy, his step-daughter, Marigold, seven grand, nine great-grandchildren and his much loved niece, Jess, his sister Mary’s daughter. This entry was posted in Obituaries and tagged editor, George Mayhew, National Theatre, Peter Hall, publicist, RSC, theatre programmes and posters on August 19, 2018 by Carole Woddis. A radical playwright and director at the cutting edge of gay theatre, he believed in the importance of young audiences and writers. This entry was posted in Obituaries on May 24, 2015 by Carole Woddis.